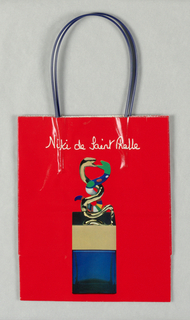 Niki grew up in New York, visiting Greenwich, Connecticut and France in the summers. She started out as a fashion model, gracing the covers of several women's magazines. Niki began to study painting and sculpture and, later, acting. She was inspired to create her first Nanas, the archetypal female figures for which she became famous, by a pregnant friend. In the early 1970s, she began to work on architectural projects, receiving commissions all over the world, including Israel, Belgium, and Germany. 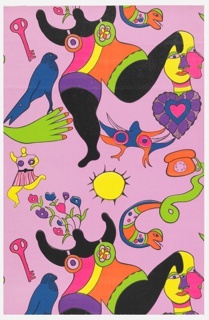 We have 3 objects that Niki de Saint Phalle has been involved with. Unknown donor: found in Collection.